A sign of our times: The most popular story on NYTimes.com last week was a "Laurel or Yanny" slider tool that accentuates different frequencies in the audio clip. 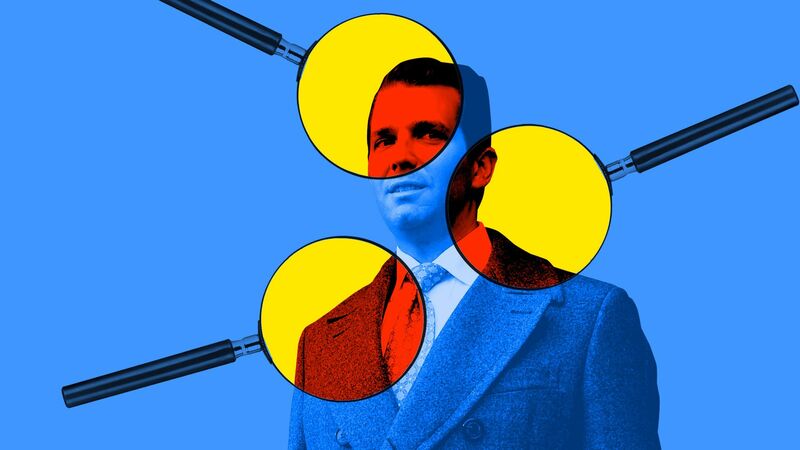 Donald Trump Jr., the president's eldest son, turns out to be a recurring character in the Mueller drama, in a way that complicates Republican efforts to dismiss the investigation as "nothing to see here." First, Don Jr. was at the center of the Trump Tower campaign meeting with a Russian lawyer, emailing "I love it" after the first overture and later putting out a statement that President Trump helped prepare, and was inaccurate. Now, the N.Y. Times reports in Sunday's lead story — under the headline, "Trump Inquiry Grows to Include Contacts in Gulf" — that Mueller is looking into another meeting Don Jr. held at Trump Tower. This one, three months before the election, included, per The Times, a) Joel Zamel, an Israeli specialist in social media manipulation, and b) George Nader, an emissary for two wealthy Arab princes, from Saudi Arabia and the United Arab Emirates. The Times says the meeting was organized and attended by Erik Prince, the former head of Blackwater, a Republican donor with a controversial past in the Middle East as a private security contractor. "Nader explained to Donald Trump Jr. that the two princes saw the elder Mr. Trump as a strong leader who would fill the power vacuum that they believed Mr. Obama had left in the Middle East, and Mr. Nader went on to say that he and his friends would be glad to support Mr. Trump as much as they could." This is the now-president's son, then a key campaign adviser, who carries his father's name and runs the president's business empire (along with his younger brother, Eric). Remember, as noted by the N.Y. Times: "It is illegal for foreign governments or individuals to be involved in American elections." Ironically, Trump — who now rides roughshod over longtime alliances — had his own coalition of the willing that wanted to help get him elected. "Prior to the 2016 election, Donald Trump Jr. recalls a meeting with Eric Prince, George Nader, and another individual who may be Joel Zamel. They pitched Mr. Trump Jr. on a social media platform or marketing strategy. He was not interested and that was the end of it." A source close to Don Jr. said he barely remembers the meeting, and that "nothing came of it." The source says Don Jr. is "the king of people wanting to leave a meeting happy, whether or not he intends to follow up." Even now, someone will walk up to Don Jr. at the Trump International Hotel in D.C. and want to take a selfie, and a friend will have to warn: "Not that person." The source told me: "He just trusts people way too much." Be smart ... A source close to the White House tells us foreign governments exploited the Trump campaign's naiveté: "They saw a bunch of inexperienced people who suddenly found themselves in political roles. They took advantage." NBC News' Ken Dilanian: "The [retired] professor who met with both [Carter] Page and [George] Papadopoulos [and referred to by the N.Y. Times and WashPost as an FBI informant] is Stefan Halper, a former official in the Nixon, Ford and Reagan administrations who has been a paid consultant to an internal Pentagon think tank known as the Office of Net Assessment, consulting on Russia and China." WashPost: "There is no evidence to suggest someone was planted with the campaign. The source in question [known but not named by The Post] engaged in a months-long pattern of seeking out and meeting three different Trump campaign officials." The third, in addition to Carter Page and George Papadopoulos: "In late summer, the professor met with Trump campaign co-chairman Sam Clovis for coffee in Northern Virginia, offering to provide foreign-policy expertise to the Trump effort." What's happening: "Voter data for March and April show that young registrants represented a higher portion of new voters in Florida, North Carolina, and Pennsylvania, among other states. "In Florida, voters under 26 jumped from less than 20 percent of new registrants in January and February to nearly 30 percent by March, the month of the gun control rallies. That ticked down to about 25 percent in April, as the demonstrations subsided, but registration of young voters remained above the pace" before the Parkland shooting. "In North Carolina, voters under 25 represented around 30 percent of new registrations in January and February; in March and April, they were around 40 percent." Why it matters: "If voters in their teens and 20s vote [in midterms] in greater numbers than usual, ... the groundswell could affect close races in key states like Arizona and Florida, where there will be competitive races for governor, the Senate and a number of House districts in November." "NextGen America, a group funded by the activist billionaire Tom Steyer, is targeting voters ages 18 to 35 in 10 traditional battleground states. "Inspire U.S. ... has been concentrating on registering high school students in their classrooms [and] uses a texting app to remind users to vote." Texas Lt. Gov. Dan Patrick (R) touched off the conversation after Friday's shooting by saying: "There are too many entrances and too many exits to our over 8,000 campuses in Texas." "After the 9/11 terror attacks, the United States took steps to secure government and public buildings — from airports to concert halls." "According to a report last year in Education Week, a trade publication, the average age of an American school is 44 years with major renovations dating back more than a decade. Older buildings were designed without today's worries of active shooters and terrorism." "They have lots of 'nooks and crannies,' isolated areas that are difficult to supervise, as well as old hardware on classroom doors and main offices that aren't located near the main entrance." "Other problems include old public-address systems and no telephones in classrooms." "[E]ducational considerations create some natural tension with security needs. Studying in places with lots of light ... is thought to improve learning." "Having metal detectors at the entrance creates long lines, which means schools have to start earlier and hire more staff to screen students." "I know some have strong feelings about gun rights but I want you to know I’ve hit rock bottom and I am not interested in your views as it pertains to this issue. Please do not post anything about guns aren’t the problem and there’s little we can do. My feelings won’t be hurt if you de-friend me and I hope yours won’t be if you decide to post about your views and I de-friend you." 5. 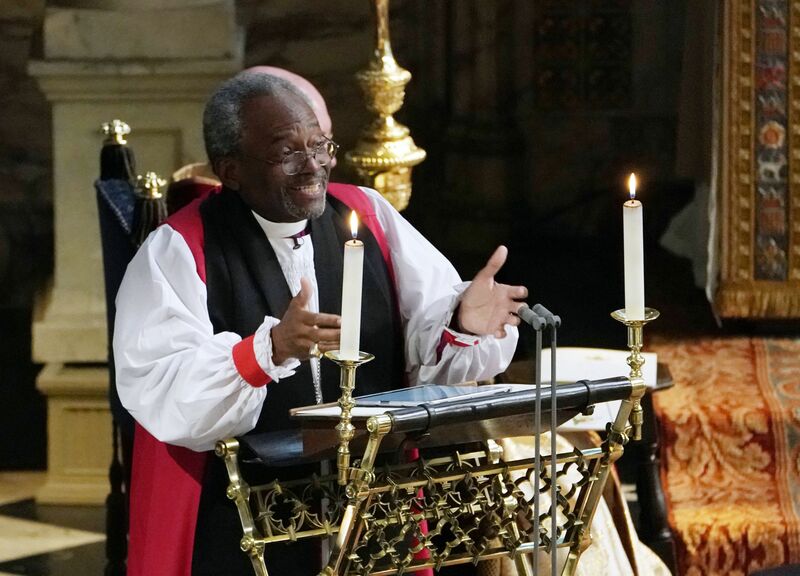 #BlackRoyalWedding: "There’s power in love"
"The ancient St. George’s Chapel echoed with laughter at times. 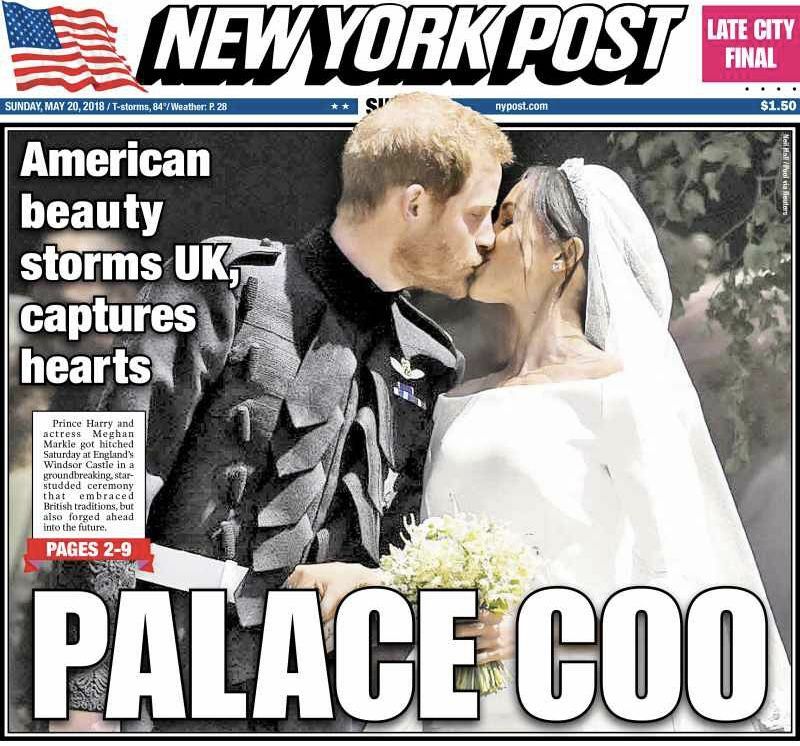 It swayed to the delicious harmonies of an African-American Gospel choir, it swooned over the talent of a 19-year-old cellist and sent a message to the watching world that the Royal family has, once again, been reinvented." 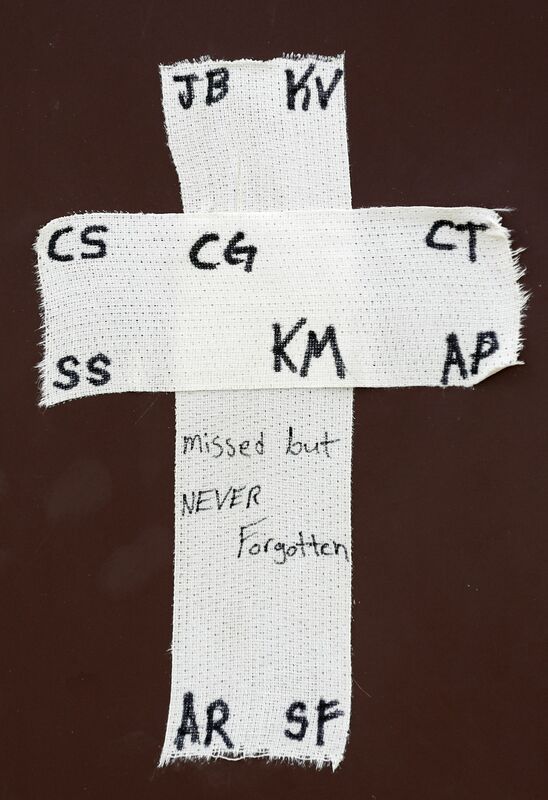 "I’d been struck, watching Gizzard Lizard’s [his son's screen name] games for a few days, by how the spirit of collaboration, amid the urgency of mission and threat, seemed to bring out something approaching gentleness. He and his friends did favors for one another, watched one another’s backs, offered encouragement. This was something that I hadn’t seen much of, say, down at the rink. One could argue that the old arcade, with the ever-present threat of bullying and harassment and the challenge of claiming dibs, exposed a kid to the world — it’s character-building! — but there was something to be said for such a refuge, even if it did involve assault rifles and grenades." Catch up quick on the Sunday shows in the Axios stream, and sign up here to get Jonathan Swan's scoopy weekly, Sneak Peek, this evening.